Q: Has President Donald Trump started building the wall between United States and Mexico? A: Congress approved $1.6 billion to replace existing barriers and add some fencing in new areas. 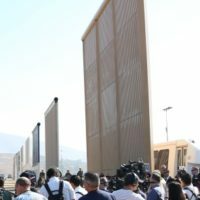 The new barriers are not concrete and not like any of Trump’s wall prototypes.